This lovely girl was specialty-bred for Wrenegade by Jalal Straight Egyptian Arabians. 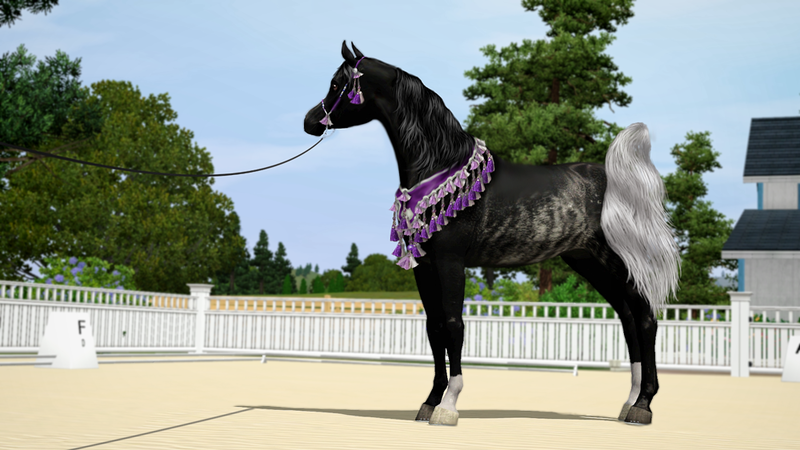 It took many years and several generations of horses for this color combination to finally come to fruition, and goodness is the result a stunner! Her temperament is best described as "saucy," and she has a lot of opinions about things that she lets everyone know about. Most of the staff around the barn have trouble handling her when she's in one of her moods, and it's usually up to Dimitri to sort her out and get her cooperative again.